What Is Malware? : Consolidated Technologies, Inc.
Malicious cyber crimes cost the nation’s economy between $57 billion and $109 billion in 2016 alone. And while many of these attacks target government computers or high-earning corporations, others hone in on average small and large companies. In fact, 475 businesses, 110 financial institutions and 292 healthcare organizations have experienced data breaches within the past year. But what exactly is the technology behind these crimes? 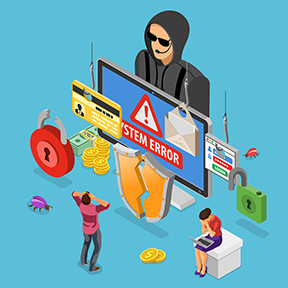 Most cybercrimes start with malware — a term that’s short for “malicious software.” In short, malware is any software that was programmed to harm a device, its data or the people who use it. This software is installed locally in a computer or mobile device to compromise data integrity, availability and — often — confidentiality. 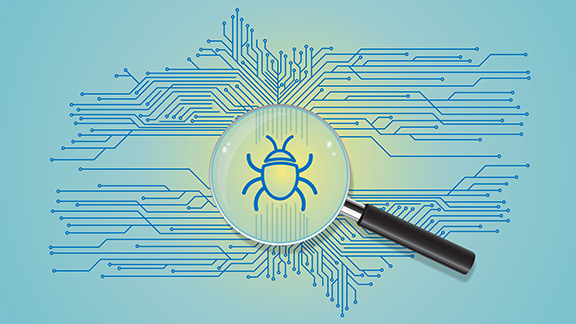 Malware programs have become one of the biggest threats to cybersecurity, so it’s essential for businesses of any size and type to understand what a malware virus is, what causes malware and how to prevent it. Malware infects your device by tricking you into installing harmful software on your system. Hackers use several tactics to get you to install this software, although they will typically encourage you to click on a pop-up or unsecured link. Sometimes the pop-up or link will use fear tactics to get you to act fast, such as, “Your account is being deactivated! Click here to keep it active,” or, “Your device has been infected — click now to run a scan.” It can also be disguised as a helpful app, file or program. Once installed, the malicious program can then block your access to your files and system, plague your desktop with ads, spread to other parts of the network and even make your device inoperable. Virus: Like a physical virus, a computer virus attaches itself to a host program and spreads throughout a device. It can render the system useless and even sometimes spread to other systems in the network. Trojan: A trojan masquerades as a legitimate file and discretely lets other types of malware into your system. Unlike a virus, a trojan doesn’t replicate — instead, it’s often used to steal passwords and other sensitive data. Ransomware: This type of malware restricts your access to your system. Hackers then demand a monetary ransom for your files’ safe return. Adware: Adware downloads and displays unwanted ads on your computer. While this software isn’t always malicious, it can redirect all your online search results to advertising websites, which can get in the way of your daily operations. Spyware: As its name implies, spyware secretly infects your device to spy on your computer habits and view your sensitive information, such as passwords and credit card numbers. 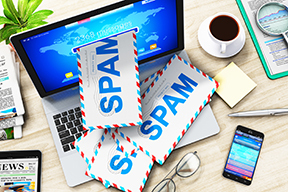 Spam emails: Hackers often try to trick users into opening malicious links disguised as delivery receipts, invoices or giveaways. Software bundles: Legitimate software downloaded from third-party websites or file-sharing networks can contain malware programs. Removable devices: USB sticks and chargers, DVDs and CDs can contain malware if they’ve been connected to an affected device. Hacked websites: Malware programs on compromised websites can use vulnerabilities within your system to infect it. Install firewalls and anti-malware software: Perhaps the most obvious way to prevent malware is to install and regularly use anti-malware software. You’ll find several legitimate anti-virus and anti-malware programs that offer a low-cost way for companies to reduce their risk of threat. Schedule regular scans with this software. Keep software up to date: Whatever type of operating system you run, be sure it’s always up to date. The same applies to your anti-virus programs. New malware is created almost constantly, and an updated system ensures that you can find and remove as many threats as possible. Back your files up often: Your business’ files are priceless, so treat them like the valuable pieces of information that they are. Back them up using a combination of cloud and hard drive storage. That way, in the event of a breach, you’ll be able to access damaged or missing information. Use strong passwords: Choose a different password for each unique account you own. If you use the same password more than once, hackers can quickly gain access to each of your other accounts. Instead, regularly create new passwords using a mix of numbers, symbols and uppercase and lowercase letters. Avoid opening suspicious files or links: When in doubt, click out. Click on links or files only if you’re sure they’re secure, and don’t open any attachments from people or organizations you don’t know. Before clicking a link that you think might be safe, hover over it to view the URL. Use a proper network security solution: Regular network security assessments — performed either internally or through a partner service — can give you the utmost confidence in your infrastructure. Having another set of eyes checking your devices’ security is a great way to find any lingering malicious programs that your software might have missed. Trust Your Network Security to Consolidated Technologies, Inc.
Feel confident in your company’s security. Turn to Consolidated Technologies, Inc. for your security solutions. For more than 20 years, we’ve helped thousands of businesses improve their security and reduce their risk of data breaches. We’ll take the burden of network security off your shoulders as our experts bulletproof your system. Get started today — contact us for your free consultation and network assessment! 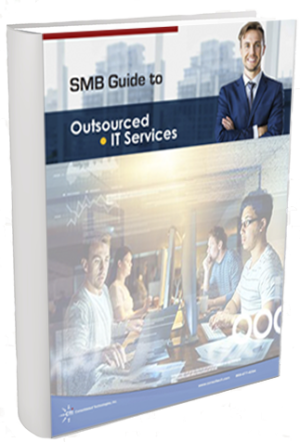 Click Here to Download Your Free PDF Version of this Guide.